Three reasons to consider Excel Pro Service LLC for your commercial painting projects. Experience - Excel Pro Service LLC has been painting offices and industrial facilities since 2008. Excel Pro Service LLC knows how to prepare and paint all types of building materials including wood, sheetrock, plaster, and metal. Additionally we have plenty of experience painting walls, ceilings, doors, windows, floors and more. Your business is in good hands with Excel Pro Service LLC's experienced commercial painting professionals. Affordable - Priced just right, Excel Pro Service LLC commercial jobs are always competitive and what you would expect to pay for a quality professional job. Find out today how affordable Excel Pro Service LLC really is. Call for a free quote. Satisfaction Guaranteed - Excel Pro Service LLC guarantees that you will be satisfied with your commercial painting. The job will be done to your specification and we go the extra mile to make sure you quite happy with the work! Excel Pro Service LLC is a leading provider of commercial painting services. Our expert commercial painters have years of experience and can make your office building, apartment building, retail store, or restaurant look new again, making your business inviting to new and returning customers. The painters will ever work around your busy schedule. Need painting done on nights and weekends? No problem. 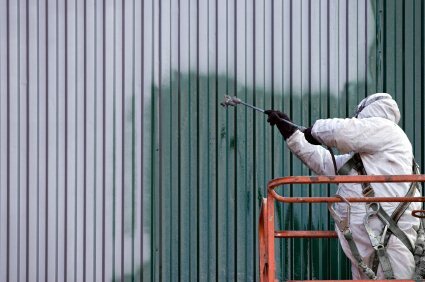 Excel Pro Service LLC painters are insured and have the required licenses and certifications to do any job where a proposal is provided.